On 2017/6/19(Mon), DS MAX ANNIVERSARY CELEBRATION event was held in Bangalore, India. 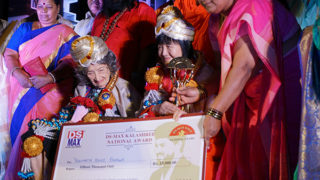 Yogmata Keiko Aikawa was awarded with “DS MAX YOGA SHREE AWARD” an award newly created from this year. 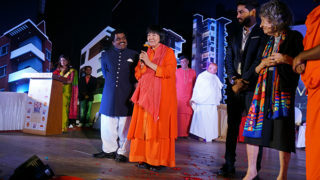 She was elected, alongside with Ms. Tao Porchon-Lynch, a New York resident, for this honorable award in recognition for her decades of contribution to Yoga. It was also an occasion for Yogmata and Ms. Tao to enjoy each other ‘s company again, since the International Day of Yoga event held at UN HQ in May last year.